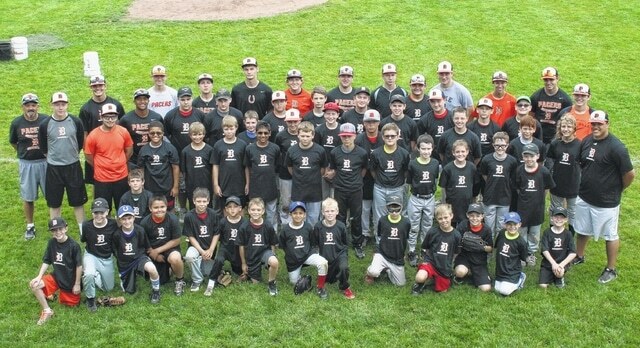 Campers, coaches and current players pose for a picture during the the Delaware Hayes Baseball Youth Camp, which wrapped up last week. The event, a joint effort of the Delaware Baseball Boosters Club and the Delaware Community Center YMCA, was aimed at campers ages 8-15 and included individual instruction and a written skills assessment. All proceeds from the camp will benefit the Delaware Hayes baseball program.